Since I was a kid, I have always been fascinated with the rivers and creeks in South Carolina. 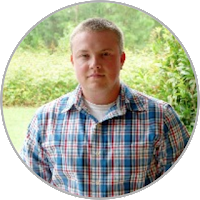 I live very close to Lake Hartwell, which is a very large lake fed by the Savannah River. I also live near the Hartwell Dam, so I have seen the floodgates open and the water travel down the Savannah. It has always been fascinating to me that conceivably you could travel hundreds of miles down the Savannah to the coast with a small boat. I actually have friends that have made it to Charleston in boats via the Broad River. 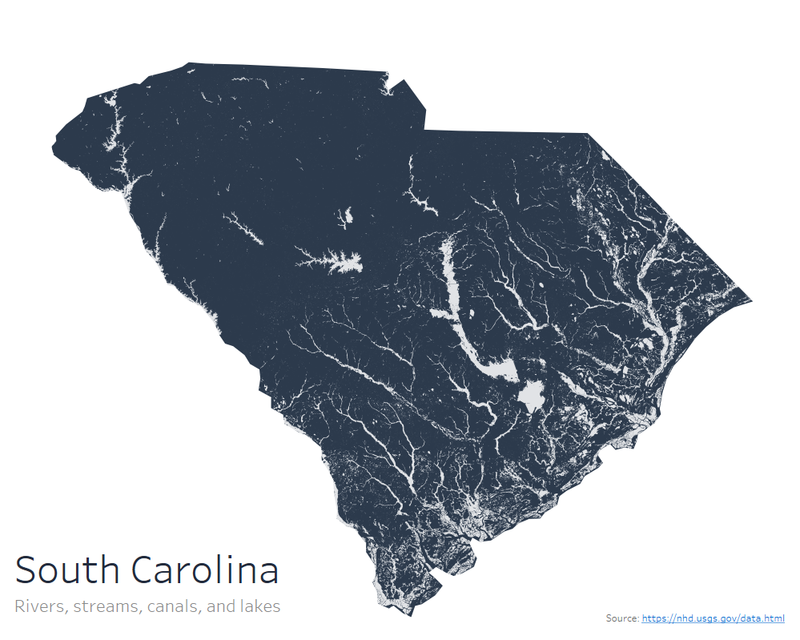 I wanted to create a high def visualization of all of the rivers, streams, canals, and lakes in South Carolina. I downloaded the hydrography data from the USGS and then used a similar technique to my eclipse viz to layer the hydrography shapefile onto a shape of South Carolina.